Click HERE to read all the letters published in CCA Wattis Institute’s blog in January 2019. Secret Interviews is a series that compiles the answers I got from my unexpected questions that I’ve directed to the people who play an active role in the contemporary art scene in Turkey. This series had been published monthly between 2017 and 2018 on Unlimitedrag.com. In August 2018 we got together as the two founders of Collective Çukurcuma for the thirteenth interview. Naz and I planted the seeds of our collective in this magical neighbourhood. 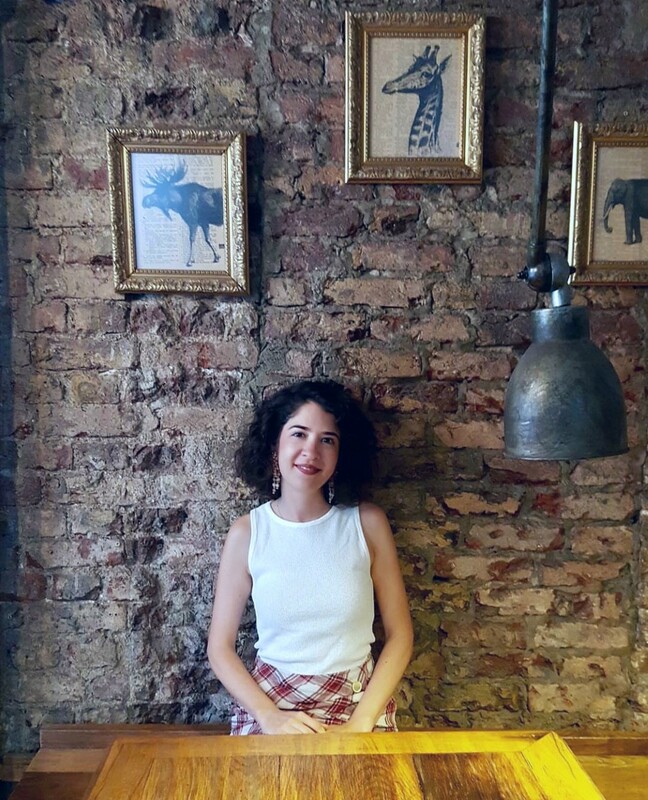 Three years later we got together again in Çukurcuma, the “No one is going to stop us drinking more wine together” themed afternoon’s outcome is the thirteenth part of this Secret Interviews series. Naz received a scholarship from California College of Arts and she’s moving to San Francisco this month to start pursuing her master degree in Curatorial Practice. She is still working on her curatorial work and research with the collective as well, you can check her latest work on her website and/or our collective’s website. What is the latest article on art, you’ve read recently that got your attention the most? As Collective Çukurcuma, we recently formed a study group with Tohu Magazine and dear Tuçe Erel. Right now we’re on the research stage. Tohu team recommended an article written by Etel Adnan for her work for Documenta13, titled The Cost for Love We Are Not Willing To Pay. I’ve been following Etel Adnan from a distance for a while and I find her works very much meaningful. But I can say that I was really impressed by this particular article. Recently I’ve read E-flux’s latest publication What’s Love (or Care, Intimacy, Warmth, Affection) Got to Do With It? and I’ve been thinking about the concepts the book suggests. While doing that, to read someone’s thoughts on love—especially someone who had moved to California, as I will—was really comforting. Additionally, I have been very much obsessed with Hito Steyerl’s book, Duty-Free Art: Art in the Age of Planetary Civil War: Especially the way she creates her own literary language by giving references to the conversations that she had with her friends who deeply influenced her thinking and writing. Steyerl turns these references into a collective thinking process and it is super liberating. Have you ever equated yourself with a character from a novel? What comes to my mind is Patti Smith’s Just Kids. We live in the parallel universe of its characters in our own ways. We live in the art itself, and we create new half-autonomous spaces for ourselves, we never give up. Think about how we founded Collective Cukurcuma—we’re so young, we’re at the beginning of it all. Just like Patti says: “Just kids.” With that naivety and strength that we learn from each other, we try to survive without thinking too much, and this requires us to focus on the present. Jorge Luis Borges or Italo Calvino? We’ve been exposed to future dystopia scenarios everywhere lately. What do you think about the future of the world? I try not to think about that too much, keeping myself busy with work. Of course, there are so many things to be pessimistic about; the political oppression, the uncontrollable negative effects of technological advancement, the fair riot of nature… But on the other hand, as the constant wave of conspiracy theories suggest, we might be coming to an end as the humankind. Even Nostradamus would be so sad that we’re still alive! That’s why I try not to get carried away by the dystopias and try to approach this matter with a realistic attitude. I believe the change will happen in a smaller magnitude than the bigger. Small victories! A dialogue between two people sitting side by side in a reading session will save us. The current stress about the uncertainty of the future is not more than what we had during the Gezi Park movement. We just find new ways to cope with that stress, at least we try to. Would you prefer science fiction movies or fantastic fiction movies? What are the topics that you’ve been reading about and researching on recently? I have been thinking about the concept of healing. I’m eager to read about this subject for a while. When you asked me to bring an object, I chose these magic dices: The art of storytelling is crucial and magical. I don’t know how this process will evolve in the future but lately, I’ve been thinking about the ways we heal ourselves and each other. Is it possible to heal at all? I think about the origin of these methods: shamanism, telepathy, being on an island, being close to nature, old spells and intentions. It’s more of an instinctive approach. In San Francisco, I will do my best to prevent the academia from taking me far away from this approach. I hope to share this experience with people around me so that it gets bigger, and surrounds us all. The moment you ask me this question, I think about an illustration of a red rose from the middle ages. During Sait Faik Abasıyanık readings as a part of the Large Meadow exhibitions, you told me about the importance of Burgazada and Sait Faik Abasıyanık as a writer for you. What does Burgazada mean to you? When I was a kid, we would spend summers in our summerhouse in Burgazada. Being on an island was liberating. The hills, the spirit. It suggests a different mindset for people: it sets you free. Since we would go there only for the summer, it was set on the temporariness. Lawless and more peaceful. And of course, growing up reading Sait Faik Abasıyanık’s stories, living on his parallel street was exceptional. I got hooked up with literature very early on in my life and for that connection, it was always so special to me. I would always look at his letters that were on display when I would go to his house. I would imagine him sitting there, thinking about what he would feel. The island was magical to me. You got your Bachelor degree in Psychology. Do you think it affects your current work and research? This is a question I ask myself a lot but couldn’t find the answer yet. My initial feeling is that it doesn’t affect much, but I’m not sure. The separation I had with psychology was like a break up with a lover, so there’s a little bit of a heartbreak. My plan was to continue my studies after my masters in social psychology but I couldn’t find the right group to share my thoughts with. I could not find the right platform to have exciting debates about human behavior. I always had a hard time to believe that human behavior could be explained with statistics, as they are so unique but I couldn’t share that with the people around me back then. And unfortunately, we did not study psychoanalysis, it wasn’t on the curriculum. The effort to push psychology to exist solely as a positive science distanced me from it, and I’ve lost my excitement. That’s why I think having studied psychology affected me more as a person than my work. Being a curator shares certain similar characteristics to being a psychologist. Think about the way we work and think together while forming an exhibition or the group dynamics we have in our reading groups. The reading group can easily be imagined as group therapy. To listen to each other, to share, and to care for each other. Everything is interlinked and connected. Out of all the cities you’ve visited so far, which one is the one you wished to spend more time in? Hong Kong because I was there to work at Art Basel Hong Kong and I couldn’t explore the city enough. The archives and the museums in the city and the approach to art were all super experimental and inclusive of the audience, so intriguing and fascinating. I would love to spend more time there. I recently learned that you wrote short stories. I was absolutely in shock but since I know your fondness for literature that was also an exciting discovery for me. Do you still write short stories? If so what are you writing about? This is something that I don’t share so much. During my high school years, my beloved literature teacher encouraged me to attend essay contests and then at the college, I took creative writing classes. However, the period I got to think about writing the most was the time I was working at the Maumau artist residency program as the coordinator. During that time I was working with the writer Sine Ergün and was lucky enough to always be surrounded by rich conversations on writing and literature. At the same time period, I went to Llorenc del Penedes, Spain to be a part of CeRRCa residency program to write. It was a surreal experience for me to be alone in nature in a small village in Spain. In that case, one starts to hear voices, to see witches, and to discover nature in a different way. The short story called Witch Hunt that I sent to you—with the hope that it might inspire you for your next project—came to life during that period as well. I was writing short stories during that time and developed a great interest in magical realism. Especially for Jorge Luis Borges. I did not have time to write that much lately but I hope I will have more time later this year to write and read more. Is there a composition that has a special place in your heart? The Nutcracker by Tchaikovsky. I know almost every part of it by heart. There’s a part that fills my eyes with tears every time I listen to. Who is the one person you met through an art project you’ve accomplished and inspired you the most? Mine Kaplangı! All jokes aside, we’ve met at a time that definitions and categorizations were making me feel exhausted. One night as we were drinking wine, we decided to concentrate on just “doing” things and started to act together. That was definitely a turning point for me. We weren’t only dreaming about doing things together, we started to actually do them and founded Collective that night, here, at this same pizza place. We struggled, got tired but never gave up. That connection feels truly real to me. At a time when everyone is focused on individual success, being a collective can heal. That conversation was inspiration itself—forming sentences that start with “we” rather than “I”, and to be able to think and fail together. What do you think is the biggest problem people are scared to face nowadays? So many problems, but I choose the reality that we live in. It is challenging in many ways and most of the time we ignore that it even exists. We work harder, listen to louder music, try to find ways to ignore reality. But we never confront it because it’s scary and quite challenging. Is there a writer or a researcher you’ve never read a work by that you want to read? As we spoke about earlier, I’m really curious about our friend Eda Sancakdar’s Ph.D. thesis. As part of our Ghost exhibition, she wrote an article that scrutinized the relationship between women, ghosts and technology titled The Ghost in the Machine for the article series of Thoughts on and parallel to Ghosts. Since then I’ve been keeping an eye on her work. I would love to read her doctoral thesis, and if she’s reading this interview I want her to know that we can not wait to read about her research! Who is your favorite female writer? Sine Ergün. I am biased because I know her. She has a special place in my heart. We worked together and now reading her books and articles knowing her in person is truly exceptional. Which art journals and platforms are your favorites? I think E-flux, ArtAsiaPacific, and Hyperallergic are the ones I follow the most. Which topics of contemporary art that you want to deliberate on in the near future? What is the exhibition or the art event of this year that was underrated but you think it’s really important? 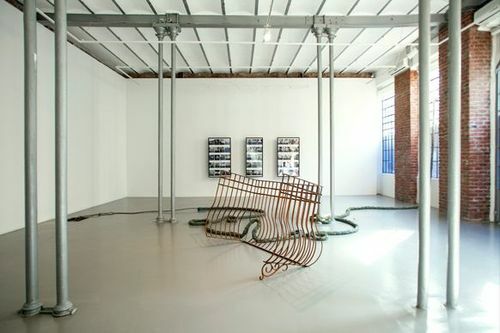 Özden Demir’s exhibition titled Muhafaza that took place at Adahan. Especially the video work was so impressive that I couldn’t stop thinking about it for a while. I want to give a shout out to Cemal Süreya by saying “I don’t know what you would think about eating but there must be a connection between happiness and breakfast.” So what is the ideal breakfast for you? The breakfast we have at home with Serhat (Cacekli)! We have eggs with special Turkish sausages, a wide selection of cheese, homemade jam and freshly baked bread. What are the things that excite you the most about San Francisco? 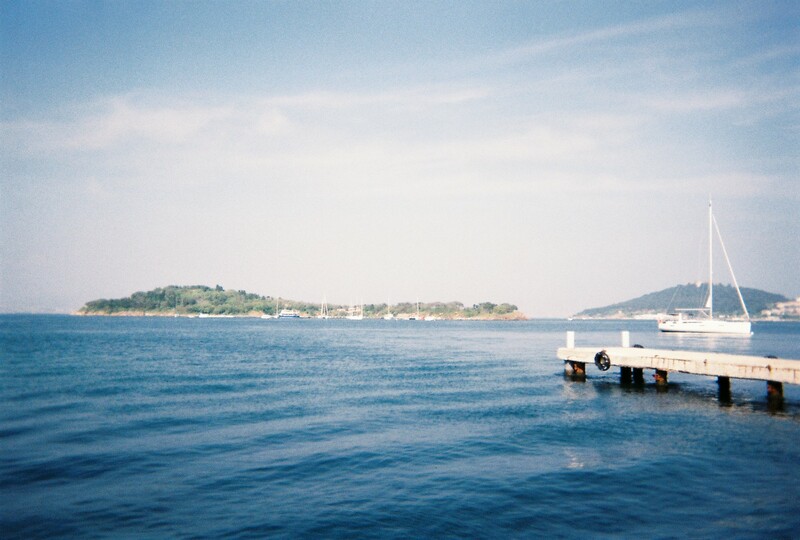 The thought of going back to an island is exciting. To be able to relax, read, write and be with myself… When I look back at the past five years, all I did was running. I want to look back at the projects we accomplished as a collective and to understand our process. One thing that I’m most excited about is to be able to read for hours. When I was a child, I would read non-stop for twelve hours. My mom would come to my room and remind me to eat something. I can’t wait for those days to come back. I don’t have any other expectations. 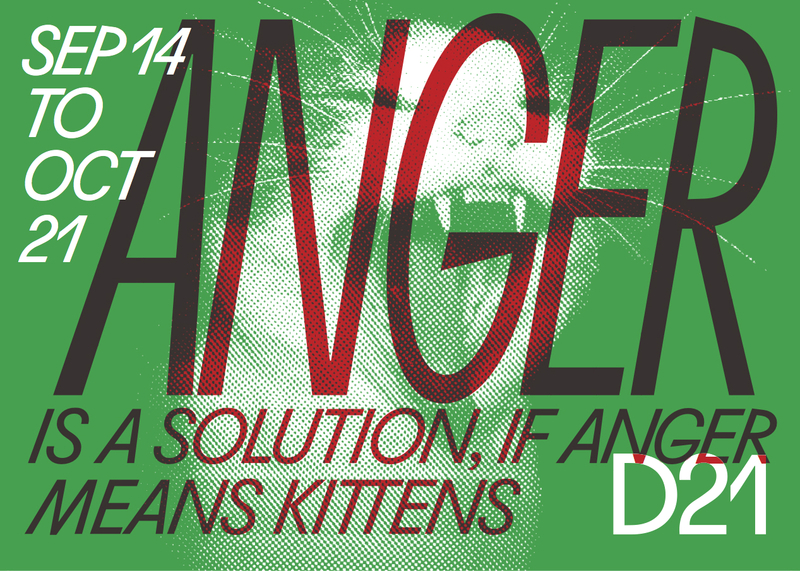 As Collective Çukurcuma, we’ve been working on a joint exhibition project with curators Eva Liedtjens and Nada Schroer in Germany, Anger is a solution if anger means kittens. The exhibition took shape after we saw the open call from D21 curatorial lab in Leipzig. It will open on the 15th of September. It consists of works by Anna Anthropy, Mary Audry Ramirez, Miriam J. Carranza, Vera Drebusch, Line Finderup Jensen, Olga Holzschuh, Ali Miharbi, Lara Ögel, and Berkay Tuncay. Apart from that, we’ve been working on a moving library-exhibition titled House of Wisdom as the Collective, and the exhibition is travelling to Nottingham, thanks to Cüneyt Çakırlar and Queer Art Projects. We’re extremely excited that the exhibition is going to spread across the city and will be presented in various places. And together with Gökhan Demirkazık we are also working on the new program for the Collective Çukurcuma Reading Group as a part of the Istanbul Design Biennial. Apart from the work I’m doing for the collective, I’m working on finding ways to say goodbye to the city and my loved ones since I’ll be moving very soon. What is the funniest thing, happened to you while working at an exhibition? Last March, I co-curated the exhibition Restless Monuments with Bettina Klein at Zilberman Gallery, and as a curatorial gesture, we decided to open a window on one of the walls of the main exhibition room. There’s an amazing Bosphorus view behind that wall and out of the necessities of the white box, that view has been blocked for years. The exhibition was about the objects, rituals, and people that turned into monuments in the city, so we wanted to open that window to invite the city into the exhibition place. To see the reactions of people to the window that wasn’t there before was joyous. Most of the visitors have thought the window was already there. It was a reminder of how easy it was to manipulate human perception. Is there a quote you want to share with everyone? “To feel insecure about the unknown is a sign of having a narrow world” I ripped this page of a book and gave it to a friend. It’s been so long and I forgot the name of the book, all I have is this page. She shouldn’t forget any details about Istanbul. What was the cartoon you used to enjoy watching the most when you were a child? How do you think to work collectively on curatorial projects affected your individual work? I learned how to work collectively, and it transformed me as a person. It definitely affected my research interests. It was life-changing to develop methodologies to learn from my colleagues. As time passes, the boundaries between me and you get blurred. It was enriching to think together, to create together—Pure joy. I sometimes realize that after working collectively for so long, I don’t want to work alone anymore. My friends and my family. I still can’t get over this exhibition titled …. Hera Büyüktaşçıyan’s solo exhibition Land Across the Blind that took place at Gallery Mana in 2014, for sure. That was the starting point for many different things to me. I was in a different universe in the moment when I went into the exhibition space. It wasn’t only Hera or her works but the exhibition itself had an invitation too. When you stepped into space you felt like you were under the water, you were almost out of breath. It was a sincere invitation, both the process and the experience were crucial. Now when I look at all the work we do—the reading groups, or House of Wisdom exhibition—I see our effort to be closer to that sincerity. It is easy to skip that because we forget whom we are trying to create that effect for. That exhibition was brilliant, therefore has a special place in me. Next time when you come to Istanbul the three places I will visit for certain are …. Solera, my mom’s house and the seashore of the Moda neighborhood. Which biennial was the one you were most inspired by? For me and I believe for a lot of people, 14th Istanbul Biennial curated by Carolyn Christov-Bakargiev was very special. I think the biennial did a great job keeping Istanbul in mind and asking the question: How can we make art that is meaningful for now, the present time? I still can’t stop thinking about some of the works and my experiences with them from that biennial. I agree that there were too many venues and it might have been overwhelming to some. But maybe it wasn’t necessary to see all of them? For them to be there by themselves, that feeling of abandonment was beautiful to me. We were treasure hunters in the city. In a time that everything was getting bigger, even though it had a complicated program, it still felt humble and delicate to me. Where would you want to spend a certain amount of time and also do some research? I feel more and more nostalgic as the time to leave Istanbul gets closer. I just can’t control that. For the last five years, I’ve been in a rush. In the last month, I’ve been finally feeling like I am here. Despite all the problems I feel connected to the city, there’s a new feeling inside of me towards the city that I can’t really explain. That’s why with that brand new attitude I would want to stay in Istanbul and only read and do research here. It would be eye-opening to look at the city in this perspective and spend time here in peace without running to places. I’ve been traveling too much lately and I think that’s why I want to calm down a little. When I talk about this time in my life, I always think about the time I spent in Barcelona for my writing residency. I think it’s more about the conditions than the space you are in. You should be able to be with yourself, listen to yourself and read without rushing yourself. Or else I have a long list of places that I want to go to. My biggest dream is visiting different cities in Japan. And I would love to go to Mexico for the Day of the Death. 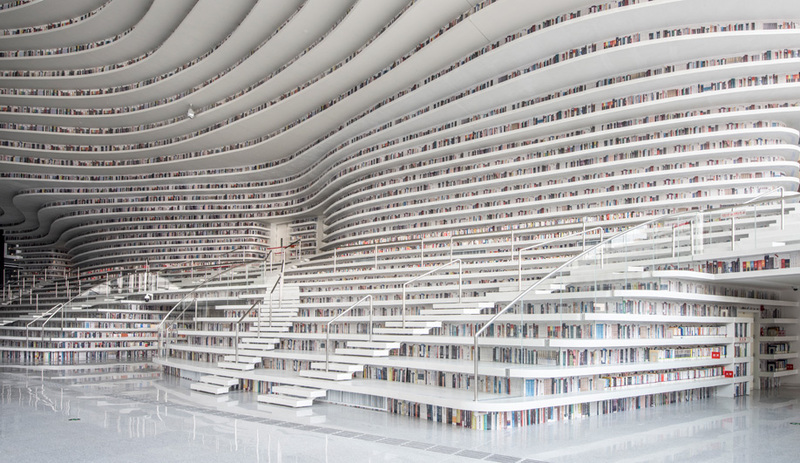 I would love to see the newly opened library The Binhai Library in China that has 1,2 million books. But since your question is about doing research, I think I would want to be in a place where I can be with myself and feel good. How we can live and create together. And as our beloved friend, Kemal Harman always says we should talk about love and wine, more.